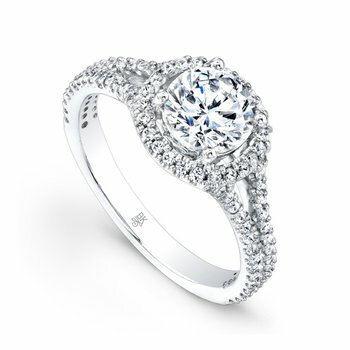 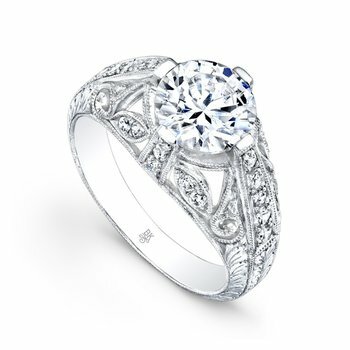 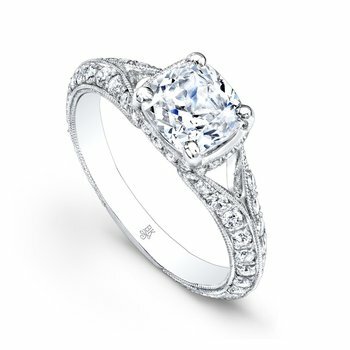 This amazingly beautiful diamond bridal ring exudes romance and timeless grace. 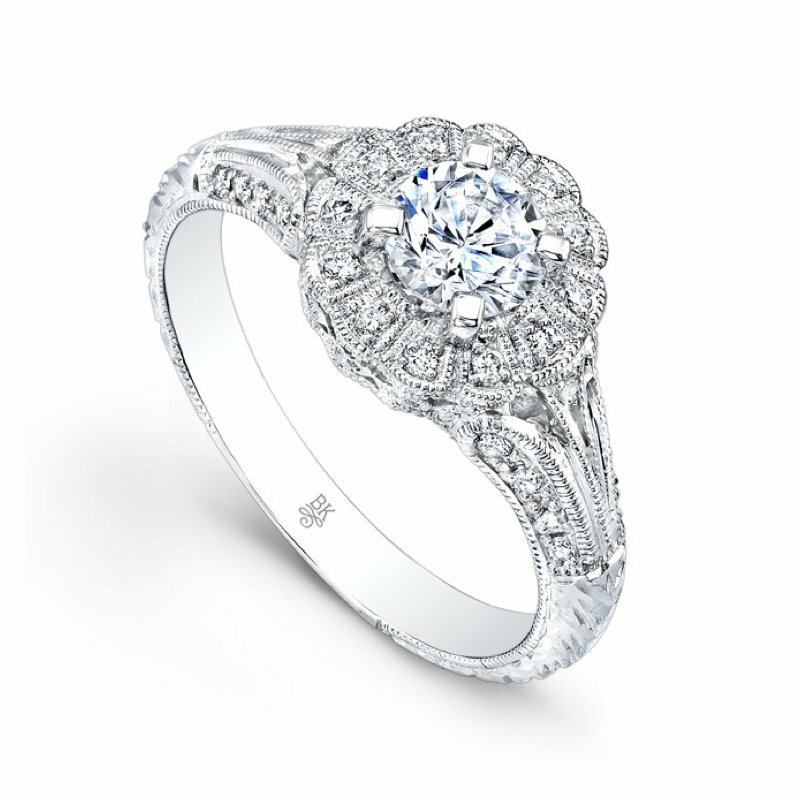 Prong set diamonds and engraved milgrain form a heavenly halo. 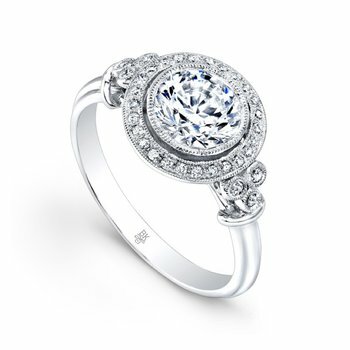 It's available in 18k white, rose and yellow gold, as well as platinum.